The role that David Tennant is perhaps best known for is that of the Doctor in the BBC Wales Sci Fi series Doctor Who. David joined the show in 2005 as the Tenth incarnation of the Time Lord and went on to achieve global success with the part. 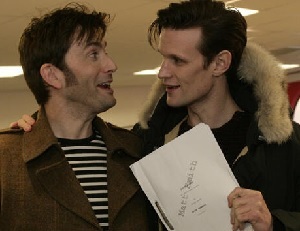 The 23rd November 2013 saw the 50th Anniversary of Doctor Who and marked the return of David Tennant to the TARDIS. Find out more in our The Day Of The Doctor section here.